Mollie Faith shares her inspiration and secrets to the success of her brand Walters Faith. 1. 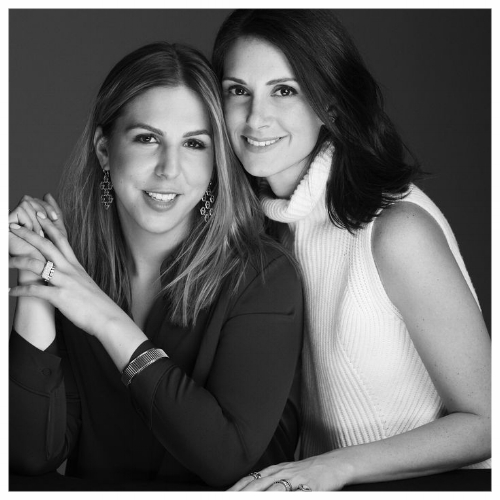 First, just a little background info; how you met, what inspired you to form this partnership, and the story and meaning behind your jewelry. MF: I hired Stephanie at a past job in the jewelry industry. Stephanie and I always had a wonderful working relationship and after several years of working for other companies we decided to partner and create Walters Faith. We knew that we brought two different skill sets (design and operations) which was invaluable when starting a new business. We wanted to create a fine jewelry collection that was accessible and wearable for the modern woman. We named the collection using a combination of our middle names - Walters and Faith. Like the names, our collection is meant to be a heirloom, timeless and a synthesis of bold and fine. 2. What’s your creative process like? How do you turn your ideas into fully developed designs? MF: I am constantly inspired by geometric forms and shapes. Once we have a concept, I sit and sketch variations on that idea, playing with scale and style. Our finished technical sketches then get passed along to our manufacturers to create a CAD rendering. Once approved, we print a resin model and then lastly a silver model before the finished piece. We are thorough with each step in the process so the finished piece is exactly as envisioned. 3. What inspires you the most when creating new pieces of jewelry? MF: I’m very into hardware - a trip to Home Depot can inspire an entire new collection. 4. Geometric shapes, especially the hexagon, play a big role in your designs. What drew you to this kind of look? MF: I tend to resonate towards clean lines and geometric shapes. We designed a very clean logo and signifier; when trying to create a brand identity with the jewelry we looked to our logo, we realized if we created a mirror image we would have an elongated hexagon motif that could be carried throughout. We knew it was important to have a clear point of view and the hexagon motif helps to add brand identifiers through the collection. 5. Your brand started in just 2013 and you’re already a well-known and recognizable name in fine jewelry. What do you think has the been the key to your success? MF: Thank you, we try to maintain a very consistent brand message. We also have always stuck to our niche and aesthetic knowing we can’t please everyone. I think consistency is what the consumer craves and we are lucky that we have had loyal brand admirers who have now turned into customers. 6. What’s your personal favorite stacking combinations from your collection? What do you recommend for a Sunday brunch vs a night on the town? MF: We both find that we don’t wear our engagement rings every day (to our husband’s dismay), but we love how all of our stackable rings are cubes, allowing for many variations for an everyday stack with our wedding band. During the week I’m about rings and long chains/charms. For the nights, nothing beats a bold earring or our chain link hoops. 7. How does it feel to see your jewelry on iconic celebrities like Rihanna, Meryl Streep and Emma Watson? Was there one celebrity you really admire who was seen wearing your jewelry that you’re especially proud of? MF: I mean nothing compares to the excitement of seeing iconic stars like Meryl and J Law in two of our best selling styles. However, there are so many rising stars that it’s equally exciting when a new star like Danai Gurira is wearing WF for a press tour. 8. Who’s the designer you admire the most? MF: JAR - we love his designs his creativity and are inspired by the materials he works with. 9. What big things do you see on the horizon for the jewelry world in the coming years? MF: The internet. I think the notion of touching and feeling jewelry will never disappear, but building an online community that people trust will create endless opportunities to reach a wider audience. 10. Your jewelry collection emphasizes stronger shapes and more angular designs, and generally follows a more traditionally masculine aesthetic. What drew you to this kind of style? MF: We both have fine jewelry backgrounds, so we love feeling the weight to a piece and knowing that it is solid. 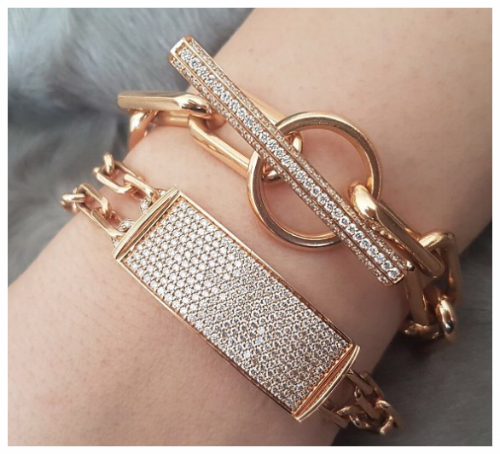 Of course, this sometimes doesn’t help with the price point, but our customer has grown to appreciate how the substantial feel and look of the jewelry aligns with the price they pay. 11. If you had to define your collection in one word, what would it be? 12. 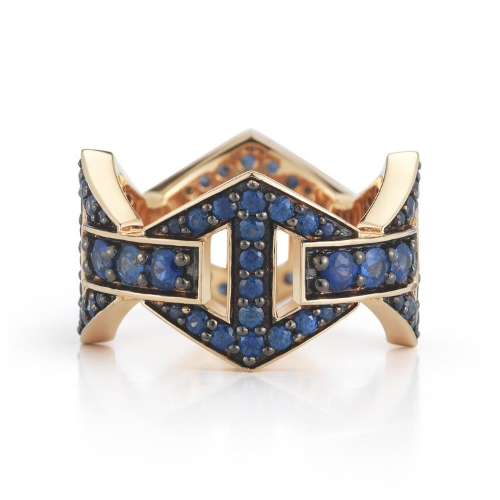 What advice would you give to all the young emerging jewelry designers out there? MF: Stay true to your vision.